We know that the Indian love for jewellery is legendary but gold plated, diamond-encrusted contact lenses are still rare enough to make one sit straight up and take notice! 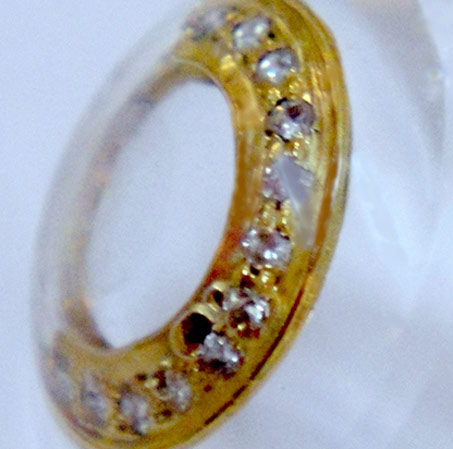 Created by Indian optometrist Chandrashekhar Chawan from the Shekhar Eye Research Centre, these limited edition (only 3,996 will be made) contacts are part of his La Ser eye jewelry line and showcase 18 diamonds adorning a yellow or white gold ring around the lenses. Chawan uses Boston Scleral lenses, which are typically used to treat eye illnesses, to prevent the lenses from touching the cornea. Each lens weighs five grams and is said to be customised to the individual for a perfect fit. They are also designed to retain water and will not stop oxygen from reaching the eye, making them comfortable to wear. As for the safety factor, that’s still subject to debate. According to a Yahoo report, international optometrists remain sceptical about these new “eye accessories”, especially as they don’t yet have FDA approval. However, in a culture underlined by tattoos, piercings and Lady Gaga-style quirkiness, who knows what the future will bring? The price? Rs. 7,00,000 (US$15,450 / £9,736). Are you up for it? Coconut oil normally brings back nightmares of mom chasing (a much younger!) me through the house, trying to pour the greasy oil on my head and following it up with a vigorous massage till every pore and cuticle was saturated. Mom’s point was that coconut oil has been used by Indian women for centuries to keep their hair long, lustrous and healthy. My problem was simply that I hated a head full of grease. Surely, there had to be a better way! Turns out that we were both right in the end. Coconut oil is not called the ‘Elixir from the tree of life for nothing’. According to research, coconut oil – unlike mineral oils – actually penetrates the hair shaft because it is so similar to our tresses’ natural lipids. Once inside the hair, it serves as a “re-fatting agent”, replacing the natural oils that have been lost due to washing, heat damage and environmental toxicities. This strengthens the hair, adds volume and prevents breakage. However, for maximum benefits you need to get Virgin Coconut Oil (by the way, there is really nothing like Extra Virgin Coconut Oil – that’s just marketing hype), which is so called due to its pure, raw and unadulterated state. Most of the commercial preparations (including the one mom would brandish about) are extracted from dried coconut (copra). This requires high levels of heat, which gives the oil a very strong odour and heavy, drippy texture. Usually, this oil also undergoes chemical refining, bleaching and deodarizing (hence it’s known as RBD), which strips it of most benefits. 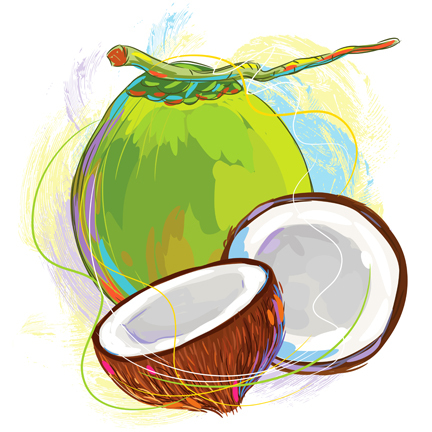 Virgin Coconut Oil (or VCO), on the other hand, is extracted from fresh coconut by mechanical or natural means. This was actually the original way of extracting coconut oil and this food-grade liquid retains the light taste and aroma of coconuts and is high in vitamin and minerals. Absolutely clear in appearance, it has powerful antioxidant properties that allows it to stay fresh for a very long time. Biggest bonus? It simply melts into the hair, without the heavy, saturated feeling of RBD. And applying it is simple: All you need to do is warm some oil, drizzle it on your scalp and lightly massage till all the strands are coated right through to the roots. 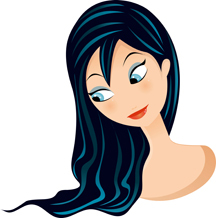 Leave on for 2-3 hours (or overnight if your hair is very dry, damaged or brittle) then wash with a mild shampoo. 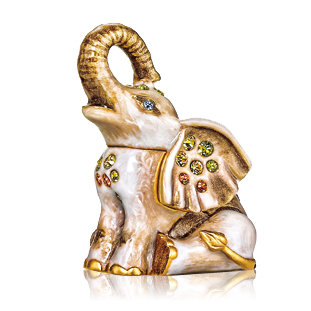 I am hard-pressed to find a more enchanting rendition of the Indian elephant than this stunning solid perfume by Estée Lauder’s that is highly collectible and strictly limited edition. Part of the brand’s annual collection of powder compacts and solid fragrances, Beautiful Luck has been designed by the legendary Jay Strongwater and contains Beautiful in long-lasting solid perfume form. According to Indian traditions, the upturned trunk symbolises good fortune – so you are not only buying a beautiful treasure but also bringing good luck into your life (just in case you needed any excuse to splurge!). We all know that panchamrit is an essential part of any Hindu ritual. However, do you know that this divine concoction has several variations? Or how it became such an integral part of the collective Hindu consciousness? The origins of this sacred dish can be traced back to the shaastras, where it is mentioned as the nectar of immortality. It is believed that the Gods attained immortality by tasting panchamrit, whose etymology derives from the Sanskrit “pancha” (which means five) and “Amrit” (ambrosia or nectar of Gods). 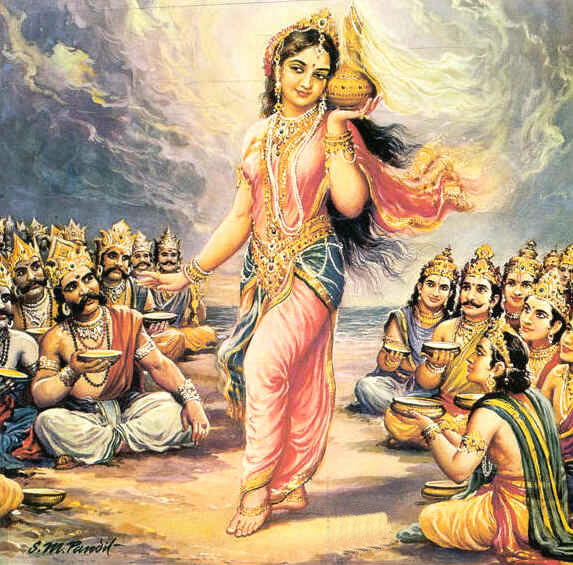 In fact, according to the Mahabharata, panchamrit was the most valuable ingredient during Samudra Manthan, where the demons and deities fought ferociously over this dish, as they knew that whoever had it would become immortal. Traditionally, panchamrit was made using five ingredients – yogurt, ghee, honey, milk and sugar – in equal amounts. Traditionally, panchamrit was made using five ingredients – yogurt, ghee, honey, milk and sugar – in equal amounts. And every ingredient has a significance: Milk is the symbol of purity; yogurt stands for love (since yogurt’s quality is that it encompasses everything and makes others like itself; ghee is nourishing; honey stands for strength of a community (since it takes several honeybees and various flowers to make it); while sugar makes everything sweet and pleasurable. Today, several households also incorporate mint and saffron, while using the other ingredients in varying proportions. And as with every other ritualistic element, this too has regional deviations based on local produce. 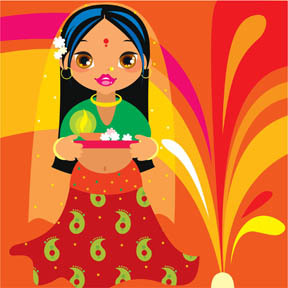 Some of the most popular variants include honey, ganga jal, tulsi and unrefined sugar; bananas and coconuts figure prominently in the South Indian versions.